All right! Who called me an oxymoron! What? Oh yes. I mean serious analyses of the mechanisms of Deaf humor. (1992). Reflections of American deaf culture in deaf humor. In Aymard, L. L. & Winstanley, C. (eds). Reflections on the language and culture of deaf Americans. Dubuque, Iowa: Kendall/Hunt Pub. pp. 181-186. (1994). Reflections of deaf culture in deaf humor. In Erting, Carol J. et al (eds). The deaf way: Perspectives from the International Conference on Deaf Culture. Washington, DC: Gallaudet Univ. Press. ISBN: 1563680262. pp. 16-23. Bouchauveau, G. (12/1994). Deaf humor and culture. In Erting, Carol J. et al (eds). The deaf way: Perspectives from the International Conference on Deaf Culture. Washington, DC: Gallaudet Univ. Press. ISBN: 1563680262. pp. 24-30. (1996). Deaf humor and positive political skills in communication. In Gallaudet University College for Continuing Education. Deaf studies IV: Visions of the past, visions of the future. Conference proceedings, April 27-30, 1995. Washington, DC: Gallaudet Univ. pp. 97-110. (1992). 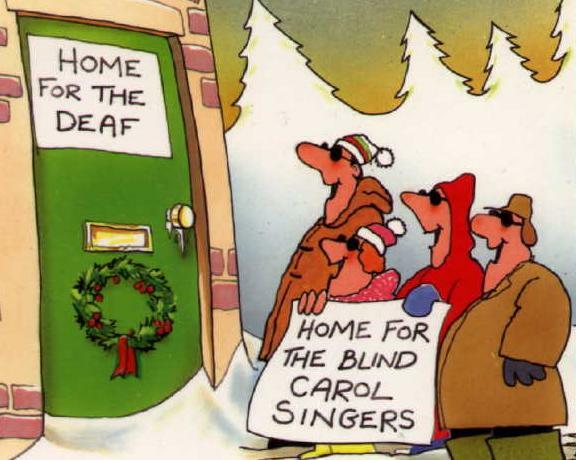 Humor and wit in deaf community. In: Gallaudet University College for Continuing Education. Deaf studies: What's up? Conference proceedings. October 24-25, 1991. Washington, DC: Gallaudet Univ. pp. 187-196. Klima, E. S. & Bellugi, U. (1975). Wit and poetry in American Sign Language. In Sign Language Studies 4: 8, pp. 203-224. (1980). Wit and poetry in American Sign Language. In Stokoe, William C. (ed) Sign and culture: A reader for students of American Sign Language. Silver Spring, MD: Linstok Press. ISBN: 0-932130-07-0 pp. 105-132. Lentz, E. M., Klima, E. S. & Bellugi, U. (1979). Wit and plays in signs. In Klima, S. & Bellugi, U. (contributor) (1988). The signs of language. Harvard University Press. ISBN 0674807960. pp. 319-339. Sanders, D. M. (1986). Sign language in the production and appreciation of humor by deaf children. In Sign Language Studies 15: 50. pp. 59-72. Attardo, S. (2002). Translation and humour: An approach based on the General Theory of Verbal Humour (GTVH). Chalmers, D. J. (February 1989). A taxonomy of cognitive jokes. Laughter - Humor as therapy. The Translator. Volume 8, Number 2, 2002. Translating Humour (Guest-edited by Jeroen Vandaele).